New Years is a time for renewal, growth and commitment to your goals! In the LGBT community, this is important because we are given a chance to remember the things we are working on improving within ourselves. Here's a list of LGBT New Years resolutions for you to consider! 1. Try something new this year! New Years is a perfect time to do something you've never done before! So whether you decide to visit the Castro District in San Francisco for the first time, or you want to see a live play this year -- make it happen! Accumulating positive experiences is a great way to prepare for any difficult time you encounter this year. Contributing to the community can be very helpful. No, not Tulare silly! I'm talking about the LGBT community! Volunteer at an HIV clinic or help out at your school's Gay Straight Alliance. Helping to build the queer community makes you feel great while improving your support network! Friend with benefits are great, but how about an old-fashioned date this year? It's okay if you meet them on Tindr or Grindr, but if they're really cute, then insist on food and conversation! After all, there are only so many gay people in this world (and in Tulare), to be sure to give everyone a fair chance. 4. Teach people about LGBT issues! Today we remember all the beautiful lives lost in the Trans Community, a very special and important part of the LGBTQ community here in the Central Valley. We at Gay Tulare especially want to remember KC Haggard, the beautiful Fresno lady whose life was cut short by a terrible act of violence. May she be remembered lovingly by our community, and may her death remind us of the work that needs to be done to end trans violence. This week, November 14th to 20th, is Transgender Awareness Week. Organizations across the nation will be shining a light on the transgender community. * That's a pretty fancy definition. Now that you know a little more about the trans community, feel free to watch this YouTube Video of these ladies telling their remarkable stories! Author Gail McCarthy and Blogger and 911 Dispatcher Jim (Heart of a Lion) Reeves will share their coming out stories at our October meeting. 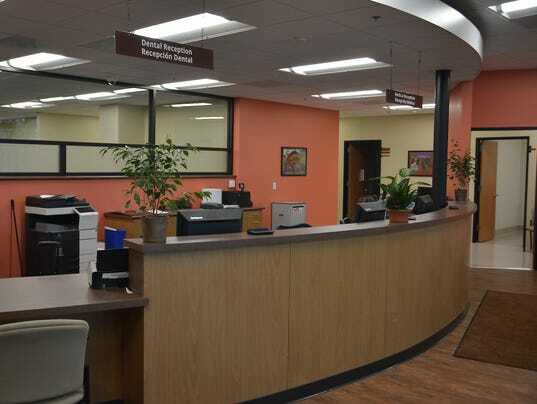 A new health clinic has opened in Tulare's west side. This new clinic is the second of three new health clinics planned for Tulare's west side, and all three clinics will be located within a mile from each other. The Family HealthCare Network is the organization behind this project, and they offer services essential to the LGBT community including vaccinations, STD testing, and counseling services. The new facility is located at 263 S West Street. For more information, visit their website at www.tchci.com, or check out our "Health Resources" tab! Fresno Reel Pride is the sixth oldest – and one of the largest – LGBT film festivals in the nation! It’s celebration of LGBT cinema and a premier cultural event in the Central Valley attracting thousands of attendees for a five-day festival of international film, documentaries and shorts. Check it out September 16th to 20th in Fresno's Tower District!